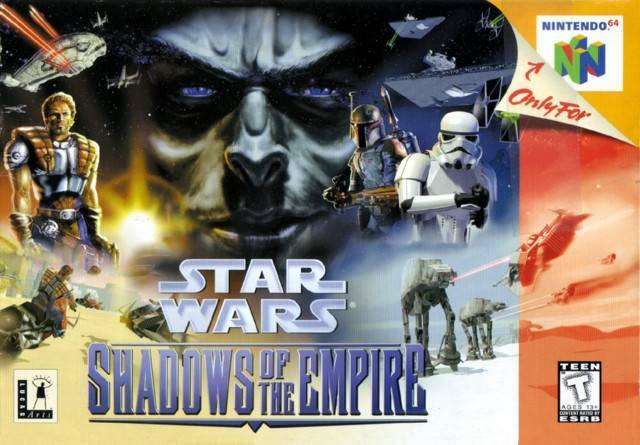 Shadow of the Empire is an ambitious but forgotten chapter in Star Wars history. It was an attempt to tell a story which bridged the gap between The Empire Strikes Back and Return of the Jedi. It featured a tie-in book, comics, toys, a soundtrack and the focus of this post; a videogame. 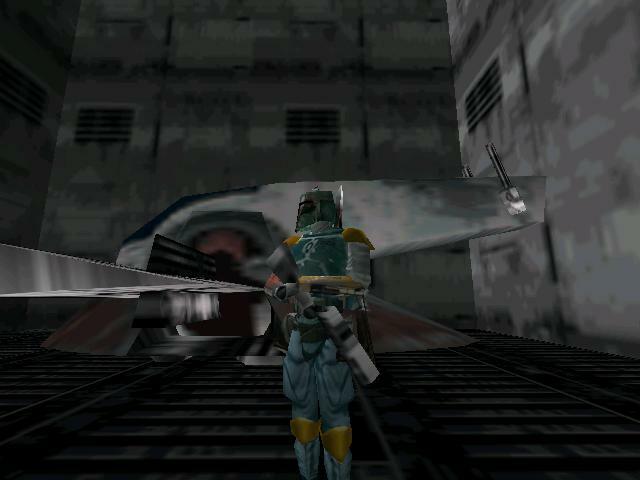 The videogame was one of the release titles for the N64 and followed the journey of one of the stories more random characters; Dash Rendar. Dash is pretty much a Han Solo replacement because that character is frozen in carbonite. He drives a ship that bares more than a passing resemblance to the Millennium Falcon and has a co-pilot who is droid (because a Wookie would be too obvious). He is also the main character of the game which mixes third-person shooting with some pretty impressive vehicle and spaceship based levels. The game would not hold up today. It isn’t considered a classic but does have moments that are worth remembering fondly. 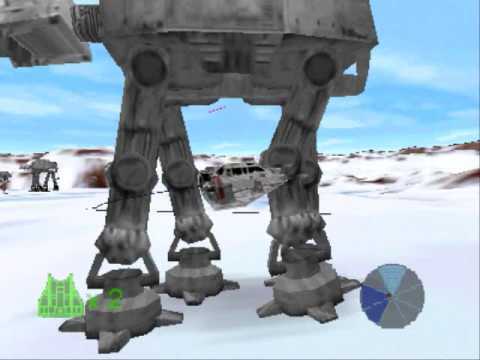 For starters, the first level is the Battle of Hoth and of course, Dash is part of the group which tie the At-At Walkers’ legs and force them to collapse. It is a cool beginning to the game and highlights the best aspect; the flying. The game goes on to see Dash pilot his ship, the Outlander, through asteroid belts and take part in the Death Star destroying raid that ends Return of the Jedi. It plays pretty fast and loose with some continuity and canon of the original movies and forces this character into some pretty big Star Wars moments but it doesn’t stop it being cool. It also includes other characters too. Nobody big could really be included for fear of messing with the story slightly too much so no Darth Vader, Luke or Leia but Boba Fett plays his part and one of the other assassins, fan favourite IG-88, acts as a boss for the game. 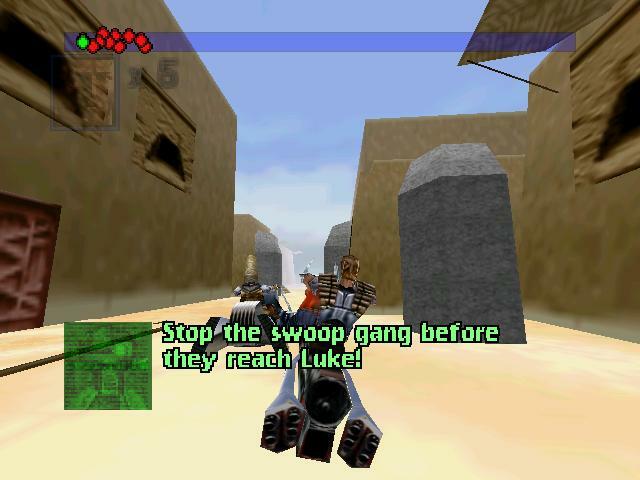 The best part of the game, and one of the most addictive, was a swoop-bike race through Mos Eisley. This involved you trying to kill a gang of bikers who were going to assassinate Luke Skywalker. It involved dodging obstacles, ramming other bikes and some pretty cool gameplay considering the time the game came out. It was also a level with great replay value and one I would revisit to relive the chases and battles. Overall, Shadow of the Empire may be low on the list of quality Star Wars tie-ins, particularly of the video game variety, but it isn’t without its charms. The ship levels were very good and the speeder racing even better. The third-person shooting may have been generic but as a piece of Star Wars history, it deserves to be remembered.